A legal and civic leader, Mindi is a staunch advocate for clients and her community. 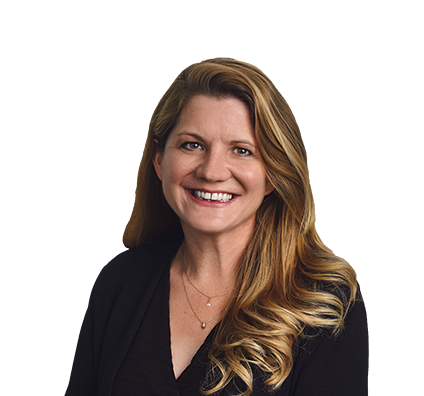 Mindi is a seasoned counselor in emerging information technology and intellectual property matters who works closely with companies and individuals to achieve success. She collaborates with clients on a broad range of privacy and security issues including IoT product development and launch, open source policies, compliance and transactional issues, trade secret matters, licensing, data breach preparedness, and litigating disputes in state and federal courts as well as before the U.S. Trademark Trial and Appeal Board. As an Office Managing Partner and leader of both the firm's IoT/Blockchain and Data Privacy, Security & Breach Response Teams, Mindi tracks developments in the law and ensures the firm’s service and offerings in these areas address the rapidly changing legal, regulatory and risk environments in which clients operate. As a community leader, she also focuses on making Madison a better place to live, especially for young people, through a variety of pro bono and volunteer work including as the Director of the Greater Madison Chamber of Commerce and on the Board of Directors of the Wisconsin Technology Council. Represented plaintiff, online retailer and wholesaler in trademark infringement lawsuit against competitor who had adopted substantially similar brand name. After extensive discovery, parties settled matter on terms that were extremely favorable to client. Represented opposer, engine design and manufacturing company, in opposition proceeding before the Trademark Trial and Appeal Board (TTAB). After discovery and trial, TTAB issued precedential ruling holding that competitor could not obtain federal trade dress protection in its engine design product configuration. Successfully defended national healthcare association against copyright infringement claims after former volunteers and members asserted ownership rights in organization's educational materials. In addition to receiving full defense verdict on summary judgment, court awarded defendant its costs and attorneys' fees in defending action. Represented plaintiff, member of governing royal family, in online defamation lawsuit. During litigation, plaintiff obtained injunctive relief against online organization that had posted false and defamatory information on its website and multiple social media sites. Represented plaintiff, developer and supplier of animal reproduction technologies in patent and trademark litigation related to agricultural products. Matter involved simultaneous patent disputes between same parties in Canada and Germany and trademark disputes in Mexico and China. After favorable summary judgment ruling, matter settled in all jurisdictions worldwide on terms favorable to client. Defended manufacturer of stainless steel, multi-ply and cast aluminum cookware in false patent marking case both before and after changes to false marking remedies under Smith-Leahy America Invents Act. Matter settled on terms favorable to client after trial and passage of Smith-Leahy America Invents Act. Litigated and resolved intellectual property and technology disputes in state and federal courts, as well as before the U.S. Trademark Trial and Appeal Board. Litigated and resolved defamation, right of privacy and right of publicity actions. Assisted clients in licensing, selling and acquiring intellectual property and technology assets. Counseled clients on identifying and protecting valuable intellectual property, including trademarks, copyrights, trade secrets and data. Developed and maintained enforceable confidentiality and trade secret programs. Advised client, online retailer, in response to cybersecurity incident involving payment card information. Representation included advising client on privileged investigation, communications with law enforcement, retaining and collaborating with forensic investigator, providing consumer notifications in all 50 states, as well as providing notifications to credit card brands, credit reporting agencies and state regulators. Managed investigations by numerous state regulators and successfully resolved concerns with credit card brands on favorable terms to client. Advised client, healthcare provider, in response to cybercriminal hacking incident and threats of ransomware deployment. Representation included advising client on privileged investigation, communications with law enforcement, retaining and collaborating with forensic investigator, and providing notification to media, affected patients, state regulators and Department of Health and Human Services (DHHS). Ongoing representation of client in DHHS investigation. Advised client in energy and natural resources sector after its vendor was involved in cybersecurity incident, forcing major disruption in client's business. Obtained settlement of matter on terms favorable to client. Advised numerous clients on dealing with aftermath of phishing attacks involving employees and release of documents or funds. Obtained dismissal of lawsuits brought against clients, software company and hospitality company, following data breach incident. Regularly advise clients as to whether certain incidents or disclosure of information constitutes security incident that requires notification or other regulatory action. Routinely provided clients data breach preparedness planning. Responded to large and small data breaches, including those involving sensitive information (including credit card information) and hacker extortion attempts. Regularly advise clients in all sectors regarding applicability of GDPR and other emerging data privacy regulations, including California Consumer Privacy Act and Washington privacy regulation. Regularly advise clients on developing and implementing privacy programs. Regularly review, negotiate and draft various agreements and M&A documentation to account for appropriate privacy and security protections and controls. Assist clients in obtaining Privacy Shield Certification. Regularly recognized and addressed privacy and security issues in all levels of product development, vendor contracting and in providing products and services to customers. Reviewed and negotiated blockchain participation agreement for client in transportation sector participating in supply chain blockchain application. Regularly review and negotiate all agreements in IoT product and service ecosystem. Represented client, manufacturer and supplier of large equipment in preparing and implementing data sharing and licensing agreements. Regularly assisted clients in developing and launching IoT products and services. Frequently guided clients in using open source software and preparing open source policies and procedures. Routinely prepared and negotiated complex technology transactions. Regularly ensured compliance with advertising laws and regulatory guidelines. Developed online contests and promotions, enforceable website terms and policies, and ADA-compliant websites. IBMadison Legal Login: Is your company really prepared for the Internet of Things? IBMadison.com: Should my company self-certify under the EU–US privacy shield?